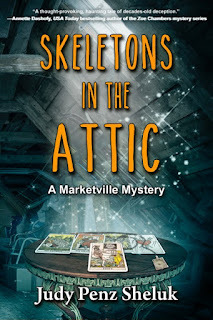 Judy Penz Sheluk’s latest release is Skeletons in the Attic, the first book in the Marketville Mystery Series, and her first title with Imajin Books. The protagonist in Skeletons is Calamity (Callie) Barnstable, a thirty-six-year-old woman from Toronto. Judy recently sat down with Callie in her new home to find out why she moved to the commuter town of Marketville, which is located about an hour north of Toronto. Judy: You’re thirty-six and single. By your own admission, Marketville is the sort of town where folks with two kids, a cat, and a collie come to live. Why the move? Callie: Trust me, it wasn’t my idea. My father died recently in an at-work accident and he left me this house. I didn’t even know the house existed, if you can believe that. On top of it all, in order to inherit, I have to live here for a year. Judy: The house needs some work, but how bad could it be? Plus I caught a glimpse of your next-door neighbor. He’s handsome in that hunky reality TV handyman sort of way, and I didn’t spot a wedding band. Callie: That would be Royce Ashford, and yes, he’s hot and single. [blushes] But you didn’t let me finish. In order to inherit, I have to try and find out who murdered my mother thirty years ago. Judy: Wow. Your mom was murdered when you were six? That must have been hard on you and your father. Callie: I’m sure it was hard on my dad, especially since her body was never found and he was considered a suspect. But until the reading of the will, I always thought my mother had left us for the milkman or some other male equivalent. So the big shocker was finding out that my dad had kept the true story away from me all these years. I suppose that’s why we moved to Toronto when I was seven. I don’t have any real memories of living here, though I’m starting to get the odd flashback. Judy: Why would your father put that clause in the will? Do you have a background in investigation? Callie: Hardly. Before I moved here, I worked in a bank call center. But I’ve already found a few things in the house that have provided clues to my mother’s past. [shivers] Not everything was a welcome find. One of the things I found was a skeleton in the attic. Judy: A skeleton? In the attic? Callie: Uh huh. Among other things. I’d rather not say any more about it. Can we switch subjects? Judy: Of course. Do you have anyone helping you? Callie: [laughs] There’s this self-proclaimed psychic, Misty Rivers. She managed to convince my dad that she could help find out what happened to my mother—for a fee, of course. As if I was going to fall for that. Judy: This sounds like it would make a great book. Do you mind if I write about your experience trying to solve a thirty-year-old mystery? 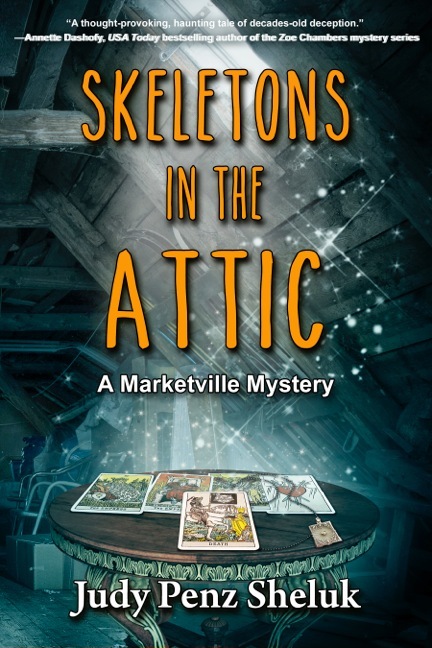 SKELETONS IN THE ATTIC is now available for pre-order on Amazon Kindle for the special introductory price of $0.99 US (reg. $4.99). 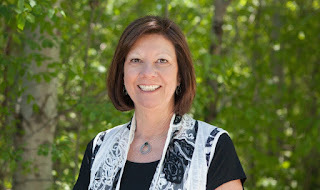 Find Judy Penz Sheluk at www.judypenzsheluk.com, where she blogs about her writing journey and interviews other authors. Thanks for letting me interview Callie today, Cheryl. If anyone else has any questions for her, she tells me that she will be happy to answer them. Great interview twist...I loved the book. Hope another Callie book is out soon. Best wishes with your new release!!! Awesome Interview. I'm looking forward to the launch party!